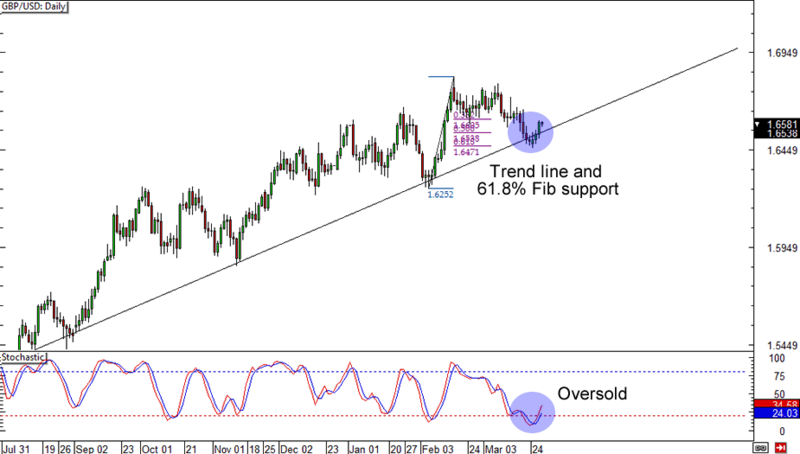 Who’s up for a countertrend trade? 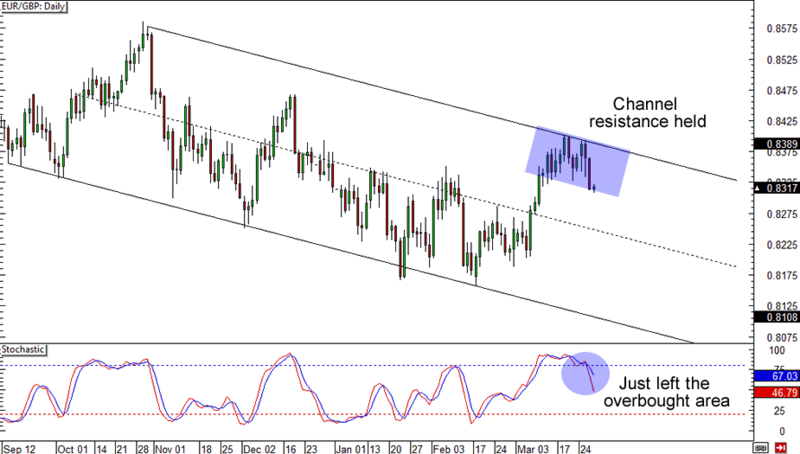 If you are, then you should know that AUD/JPY had just bounced from 95.00, which is right smack at a rising channel resistance. What’s more, Stochastic is about to leave the overbought territory! 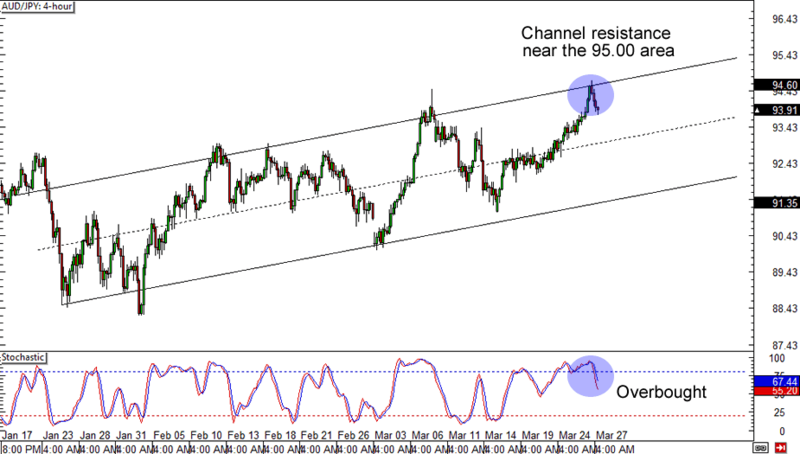 A stop just above the channel could get you sweet pips if you believe that the Aussie is headed for the channel support. Of course, you could always wait for momentum and more bearish candlesticks if you’re not too sure about buying the yen. Guess who’s back! No, it’s not Slim Shady. It’s Cable yo! The pair is back to retesting its rising trend line, which is hot because it’s also near a 61.8% Fib retracement on the daily chart. Not only that, but Stochastic has also just left the oversold region. Think the pound is headed higher? A stop below the 1.6450 area could still get you a sweet risk ratio if you think that the pair is about to make new 2014 highs. Our last setup for today is a broader version of yesterday’s EUR/GBP setup. The pair encountered resistance at the .8400 psychological handle, which isn’t surprising since it’s also a falling channel resistance on the daily time frame. The pair still has room to fall though, if you believe that it will retest the channel’s support area. What do you think? Will the euro bears continue to drag the pair lower or will they stop at the mid-channel support near .8250?